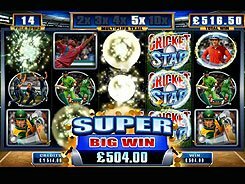 This 3-reel one-payline video slot powered by Microgaming is all about cricket. The symbols are fruits, pads, helmets, bats, umpires as well as symbols ‘6’ and ‘4’ that stand for umpire’s signals. 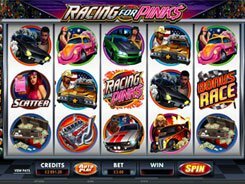 The slot is played with a single coin which value can be adjusted from $0.1 to a maximum of $10. The most rewarding symbol is the Umpire that awards up to $10,000 for three of a kind. 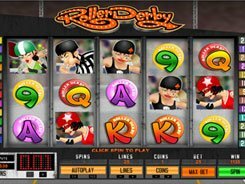 There is an array of features, such as Holds, Nudges, Shifta, Let ‘em Spin and a Hi/Lo Bonus round. Some symbols appear on the reels with small cricket balls attached to them. When you get three cricket balls in view, you unlock the Hi/Lo bonus. If this happens, you are taken to a new window where you are to guess whether the next number will be higher or lower than the one shown on the screen. 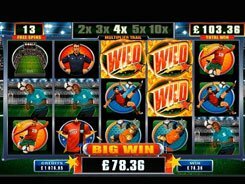 Depending on your chosen trail above the numbers, you are awarded multipliers (up to x2000), extra features or Nudges. 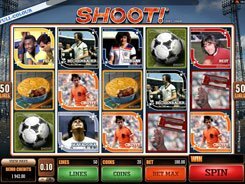 Overall, The Umpire Strikes Back is a feature-stuffed video slot and is a must-play for all 3-reel slot fans. PLAY FOR REAL MONEY!